Three generations of writers, musicians, artists, and poets cite their discovery of On the Road as the event that "set them free." On the Road chronicles Jack Kerouac's years traveling North America with his friend Neal Cassady, "a sideburned hero of the snowy West." As "Sal Paradise" and "Dean Moriarty," the two roam the country in a quest for self-knowledge and experience. Kerouac's love of America, his compassion for humanity, and his sense of language as jazz combine to make On the Road a work of lasting importance. 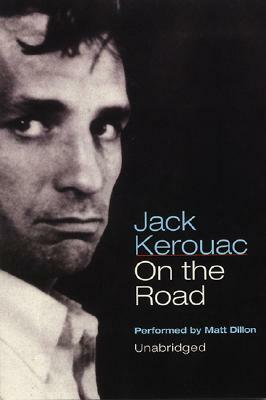 Jack Kerouac's (1922-1969) On the Road was published in 1957, six years after its completion. It went on to become a bestseller and is considered the quintessential statement of the 1950's literary movement known as the Beat Generation. Born in Lowell, Massachusetts, Kerouac did stints at Columbia University, in the Navy and in the Merchant Marine before meeting Allen Ginsberg, William Burroughs and Neal Cassady, who would influence the rest of his life and his writing. Kerouac died in St. Petersburg, Florida at the age of forty-seven. Matt Dillon made his film debut in 1978 in Over the Edge. He has starred in such films as The Outsiders, Rumble Fish, The Flamingo Kid, Drugstore Cowboy, Singles, Wild Things, and There's Something About Mary. Matt lives in New York City.